There is a disturbing trend in Miami as elsewhere in the United States; removing a dog’s front dewclaws. Rear dewclaws (on the dog’s rear legs) which occur in rottweilers puppies from time to time, should be removed shortly after birth as they serve little purpose. With active dogs rear dewclaws have the potential to get snagged and cut, which is a much more serious condition in an adult dog compared to snipping them off a puppy, and may lead to profuse bleeding and infection requiring veterinary care. The non-existence of rear dewclaws in the majority of dogs is a common sense indication that they are not essential. Front dewclaws pictured below are a different story. We can’t say front dewclaws are “essential” to the dog’s survival living in a home environment, but they definitely come in handy for breeding, in the case of a protection dog fighting a bad guy, and life saving traction in situations you may not have foreseen. Nowhere else in the world is front dewclaw removal practiced. 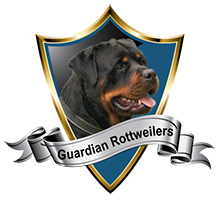 At Guardian Rottweilers we frown upon front dewclaws removal and consider it mutilation. 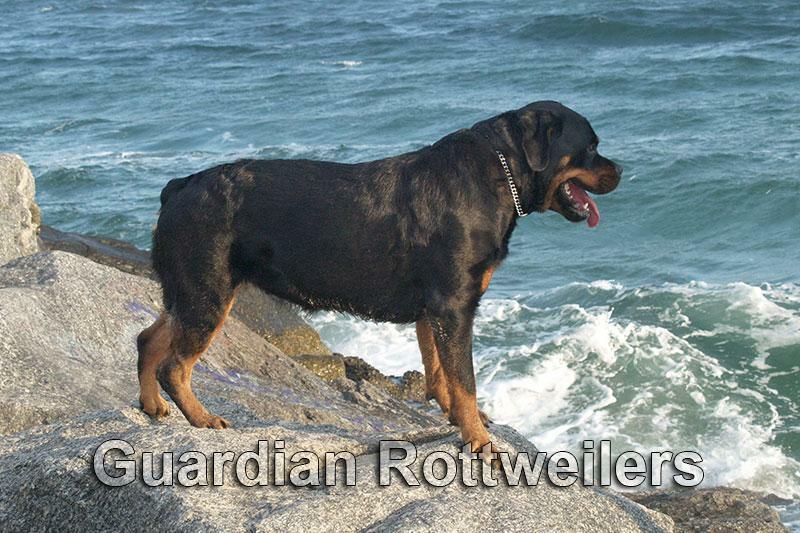 It bothers us all the more when we see it in rottweilers which are a working breed.